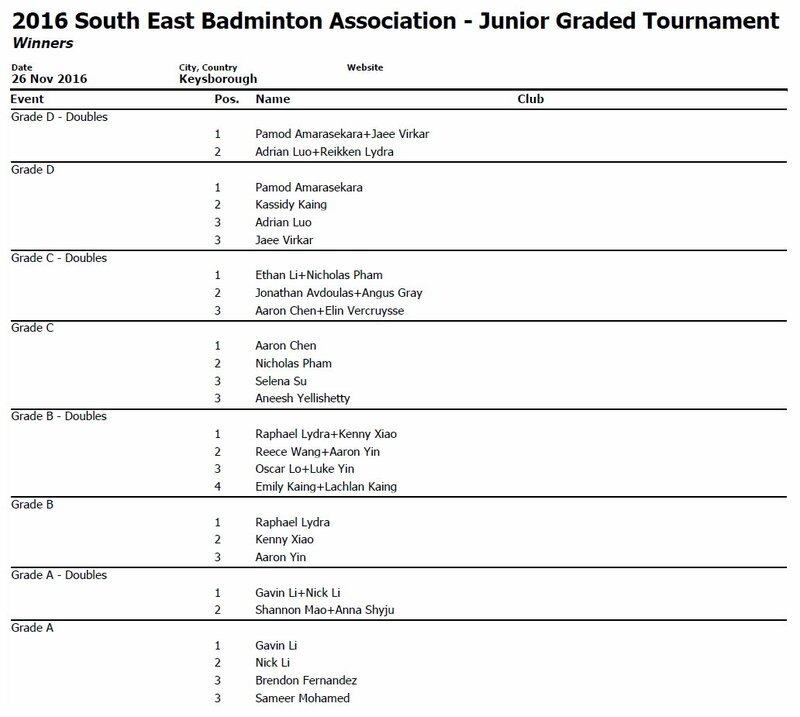 A Big Thank You to all the participants, helpers, and officials who were involved in the SEBA Junior Graded Tournament last Saturday. 53 players competed in grades D through A, singles and doubles. Congratulations to all the winning players and doubles pairs – well done!